Quality Copper/brass construction. 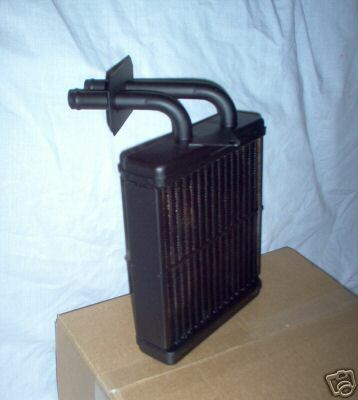 The original heater has plastic tanks and the top tank has a large plastic section that the pipes and flange come out of. This is for strength and is not required on a brass tank unit. Although the top section may look a little different this unit has been fitted without a problem.